Tired of waiting for decent keyboard accessories for your shiny new iPad? This hack takes a classic piece of Apple goodness and chops it together with the new flashy tablet that everyone seems so crazy about. 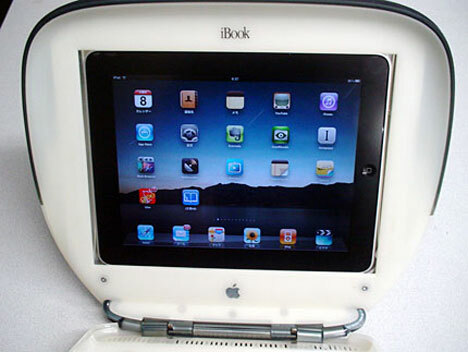 The hack, put together by Osakan blogger Dark Kyokucho, puts a beautiful new iPad into the timelessly awesome iBook. 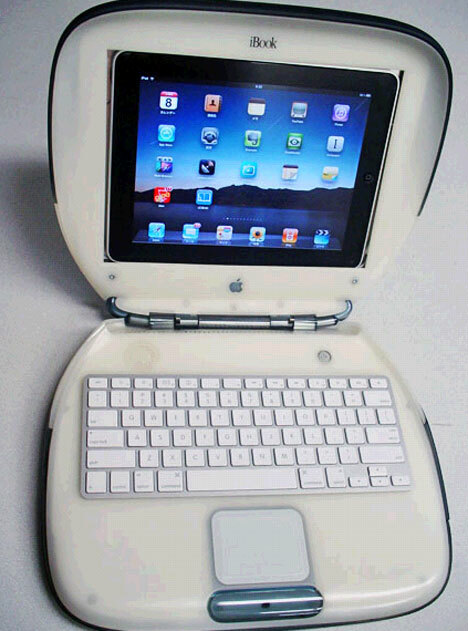 The modder realized that the iPad would fit perfectly into the iBook’s screen space. From there, it wasn’t a very far leap to come up with this unholy-yet-perfect union. With a couple of cable connections and a bit of rigging, the fabulous creation was complete. 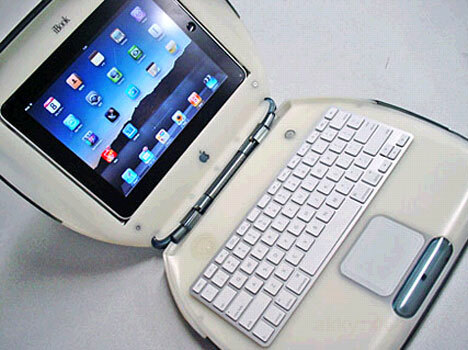 The previously-unused iBook was given a second life and the iPad gained an interesting new protective case that will no doubt make all passers-by do a double take. See more in Computers or under Gadgets. June, 2010.